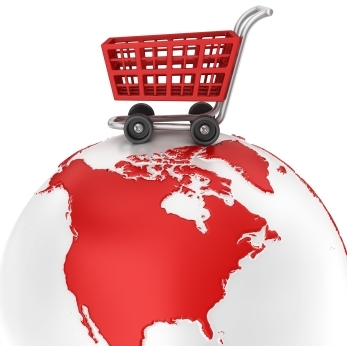 Online website is key factor for success of any e-commerce business. Therefore, it is important to plan the web design of business website carefully. An effective e-commerce website should be integrated with features like email notification, auto responders, credit card processing system and different modes of online payment. Shopping cart is another in demand feature of business website which helps customers to collect items they want to purchase. All these features should be part of web design for e-commerce website. Good quality pictures of your product can certainly prove to be worthy investment for your e-commerce website. Poor quality pictures will reduce demand of your products. You should hire professional photographer or graphic designer for this purpose. Presentation of your product can develop interest of visitors of your website. Therefore, the pictures displayed on your website should highlight distinctive features of your product and services. You should not look image fake with lots of graphics and it should remain clean and simple. The next thing that can contribute to success of your business website is what you are offering at your website. For this purpose you should provide well written description of your products. The description of your products should not highlight features of product because people can judge features through pictures. Thus, the description should tell the story behind the product and how this product can be advantageous for buyers. Good description can inspire your customer to trust your product easily. Using keywords in content of website can play an important role in success of any commercial website. The description of products on business website should be well integrated with keywords related to your product. This way you will be able to acquire search engine optimized business website and people can find your website more conveniently. For using right keywords for your products you can use online tools available for this purpose. The most important thing customer is looking for in any website is convenience. For successful ecommerce it is important to design user friendly website with easy to use features. It is also important for commerce website to provide complete security to privacy of user and to facilitate easy browsing. The ecommerce website should offer memorable experience to customer so that, he want to visit website repeatedly. E-commerce website should value opinion of their clients also and for this purpose they should always appreciate feedback from their clients. For flourishing ecommerce it is important for company to ensure the presence of required inventory in stock. However, products should not be over stocked in the beginning of any business. You should always have balanced inventory so that you can meet needs of your clients appropriately. 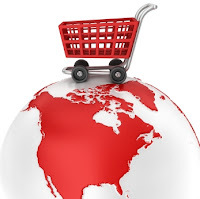 After purchasing of product next important factor for ecommerce business if transaction of money online. Nowadays, PayPal service is used widely for this purpose. However, e-commerce website should offer various online transaction methods like credit card, visa card, master card etc. With proper encryption of ecommerce website you can ensure your customer secure transaction of money during shopping. You should start slowly with ecommerce business. Do not try to sell anything and everything like eBay or Amazon. Niche marketing is good way to start e-commerce business successfully. For this purpose you should sell limited products to selective customers where you can find few or no competition. This will help ecommerce business to flourish gradually. You can target your customers with niche marketing strategies and offer limited products on your website to get more focus of viewers. These are some basic aspects of e-commerce business there are many other things which you need to take care for successful ecommerce business like shipping, delivery of products, customer service and many more. However, with careful planning you can successfully run online business. You can also induce binary option trading online through e-commerce website. This will also help to incur increased profits and help you to run profitable e-commerce website.